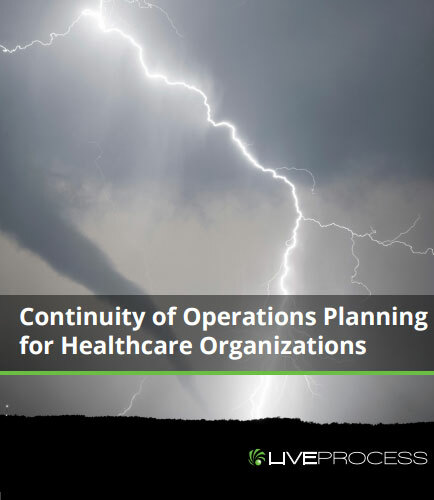 "Continuity Of Operations planning in the health care sector"
A Continuity of Operations Plan (COOP) ranks the essential business functions an organization must perform even in an emergency and then puts in place means for ensuring that they continue. A COOP ensures that the need to plan for both more complex patient care issues and a higher level of community coordination are taken into account for emergency preparedness planning. A COOP also addresses preparing for the loss of business-related functions, such as facility operations, databases, technology, supply chain services, utilities, and critical records. This whitepaper provides information about continuity of operations (COOP) planning for hospitals and healthcare.